Colombia’s Defense Minister Luis Carlos Villegas has denied the existence of the Aguilas Negras and has clashed with Inspector General Fernando Carrillo who claimed last week that members of the security forces are taking part in the mass killing of leaders. More than 311 social leaders have been assassinated by death squads and assassins since 2016, the year a peace process began with demobilized guerrilla group FARC. 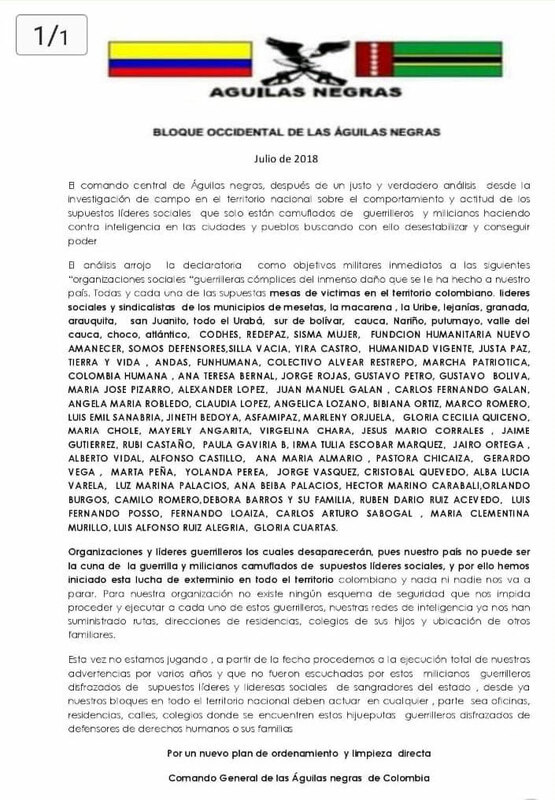 Among those considered “military objectives” by the Aguilas Negras are “each and every supposed Victims Table on Colombian territory,” journalist organizations, minority groups, think tanks, congressmen and dozens of social leaders. Guerrilla organizations and leaders will disappear. Our country cannot be home of guerrillas and militias disguised a supposed social leaders. Because of this we have begun our extermination effort in all Colombian territory, and nothing or nobody will stop us. For our organization there exists no protection scheme that impedes us to proceed and execute each and every one of these guerrillas. Our intelligence networks have already provided us with the routes, home addresses, their children’s schools and the location of family members. 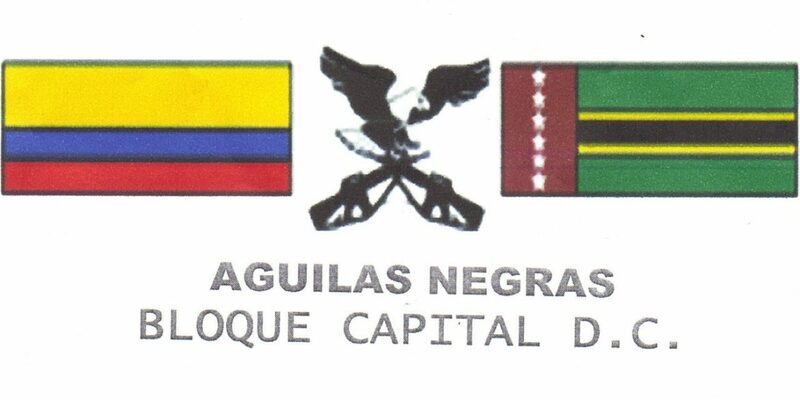 The Aguilas Negras surged in 2006 after the demobilization of paramilitary umbrella organization AUC. Analysts do not believe the group has an organized national structure, but is used by a multitude of far-right activists and members of the security forces to threaten opponents.